Hello everyone! 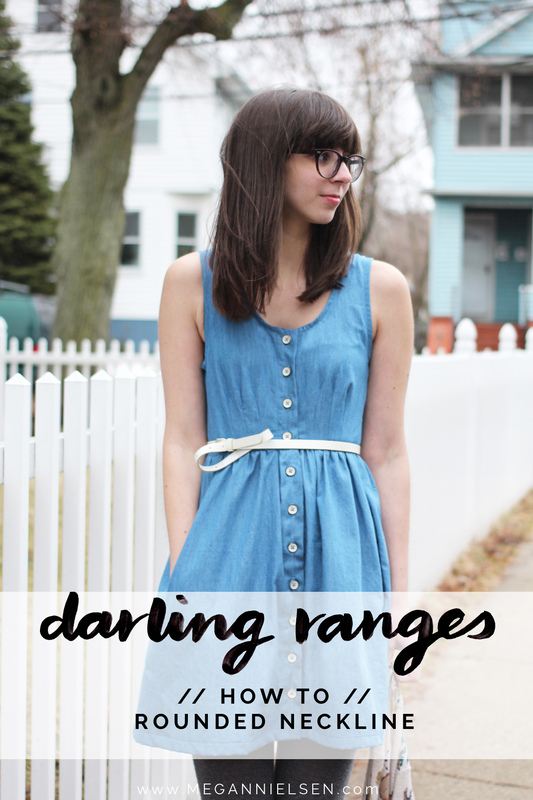 As promised yesterday, I’m here with a Darling Ranges dress pattern variation! Mainly, how to alter the shape of the neckline. 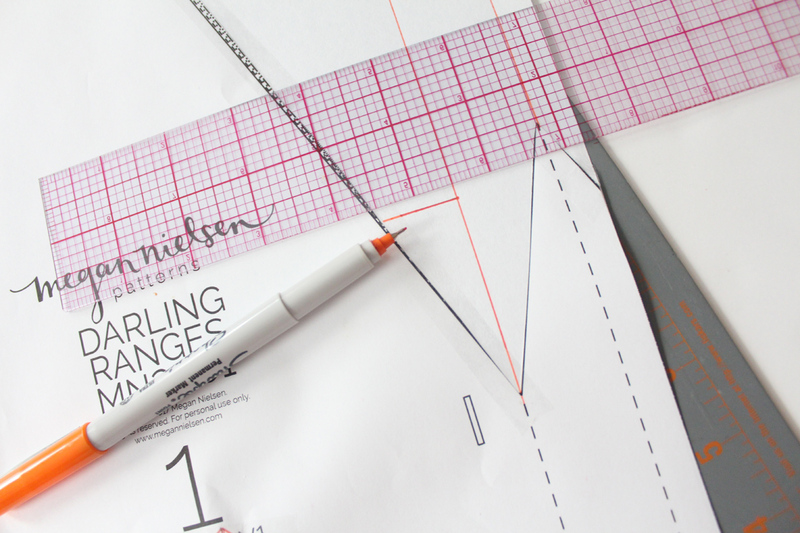 The standard Darling Ranges pattern comes as a v-neck, but I’m going to show you how to create a slightly higher, rounded neckline. 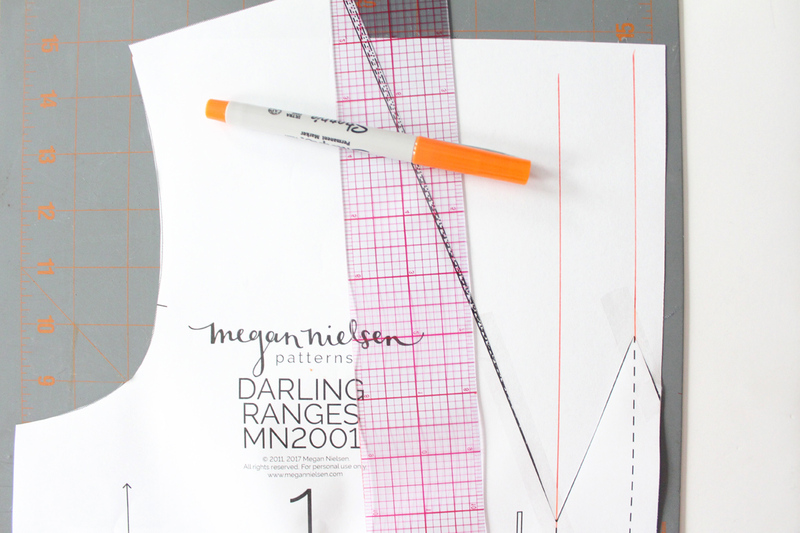 Also, yesterday I talked about moving and altering the bust dart of the Darling Ranges pattern. Well, heres what one of them looks like! This is the dart moved to the waist, and then split into three darts. Also known as a dart cluster. Just wanted you to know what it looked like! Place a piece of paper underneath your pattern, lining up the edge of the pattern with the edge of the paper. Tape in place. Extend your two parallel guidelines. Now decide how high you want your neckline. Don’t forget – you need to remember your seam allowance! Draw a perpendicular line out from your center front guideline. 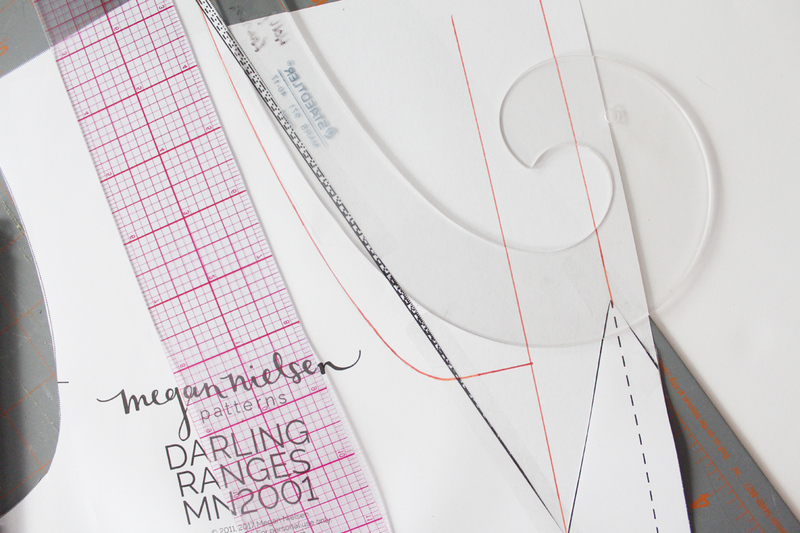 Using a french curve or another curved tool, create your rounded neckline – connecting the end of your perpendicular line to your shoulder seam. Blend so you have a smooth, curved line. To shape your facing, first fold inward along the first guideline, and then again along the center front guideline. While folded, cut along your new neckline shape. That’s it! 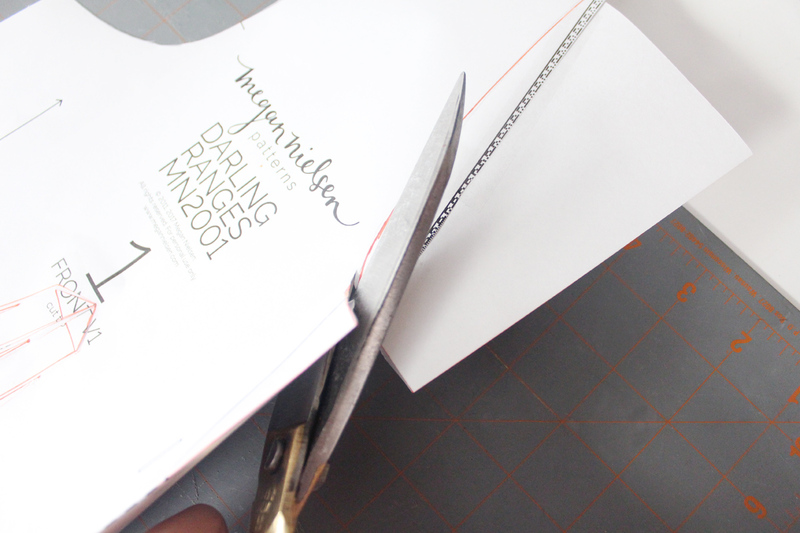 Unfold, and flatten back out before cutting out your fabric. 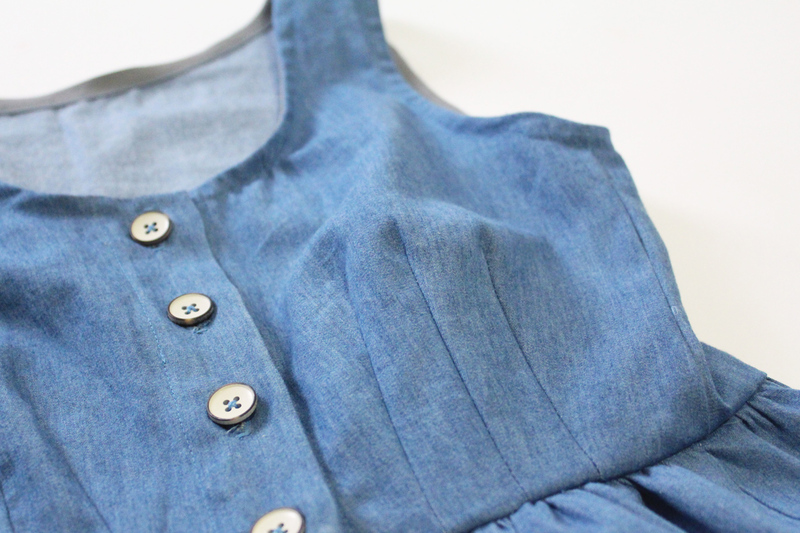 Don’t forget that your neckline will be higher now, so make sure you adjust the placement of your buttons! 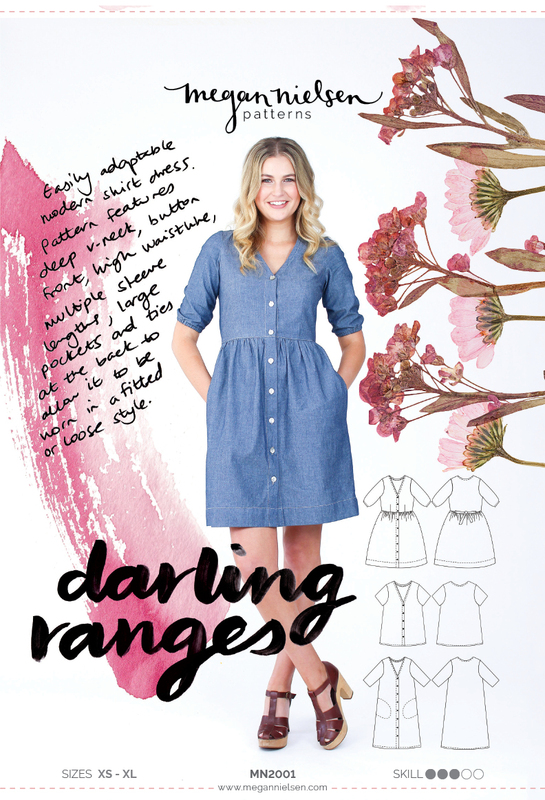 Don’t have the Darling Ranges sewing pattern yet? Get it in store here! 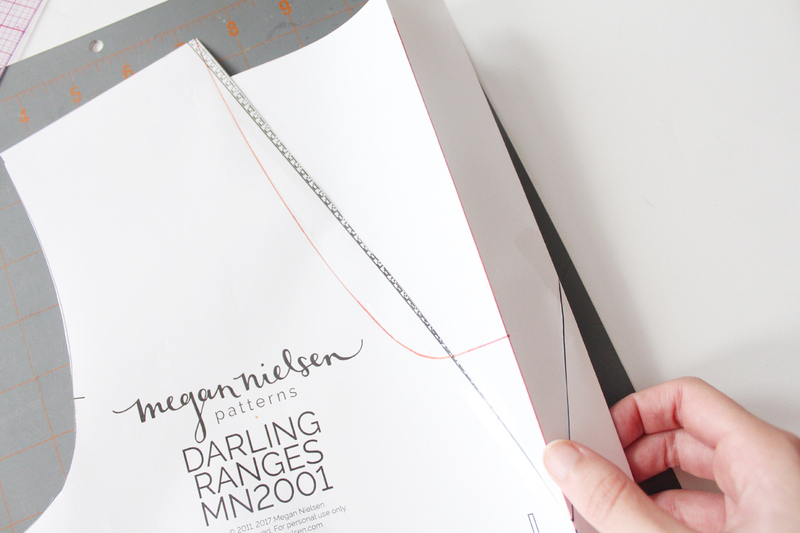 We absolutely love seeing what you make, so don’t forget to tag your creations with #MNdarlingranges and @megannielsenpatterns if sharing on social media. I really like the look of the dart cluster. Will try it out sometime, as well as the round neck version. 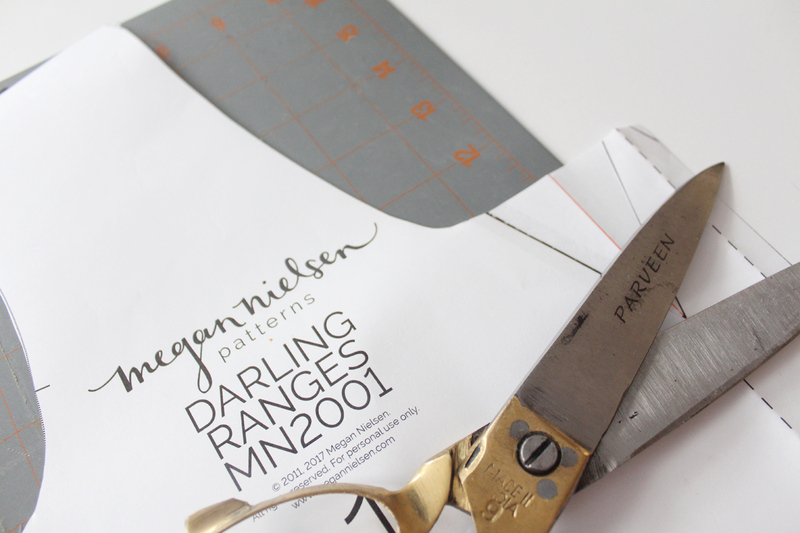 The Darling Ranges pattern has been sitting in my ‘to sew’ pile for over a year already! Thanks! 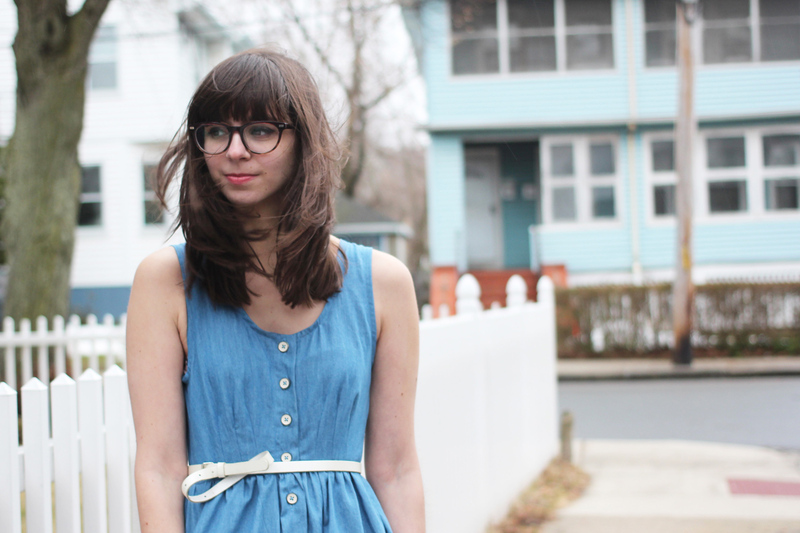 You should give it a go – it’s a super nice pattern, and the alterations are pretty easy. Let us know if you get around to making it. We would love to see it! it’s wonderfull, I absolutely need one sleeveless-round-neckline-dart-cluster-version for this summer!! Easy peasy alteration. I love the scooped neck vs the V neck. cute! i mentioned just yesterday on my blog that i’d like to do a scoop neck version. love this dress! You should do it! It’s a super simple alteration. If you do make one – let us know. We would love to see it! So cute!! Wanna get started on this variation too. Thank you for the great tutorial! Oh my gosh, this is so cute! Thanks for sharing! Hi my friend! I wish to say that this post is awesome, nice written and include almost all important infos. I’d like to look extra posts like this .